Save 18% when purchasing the complete collection. 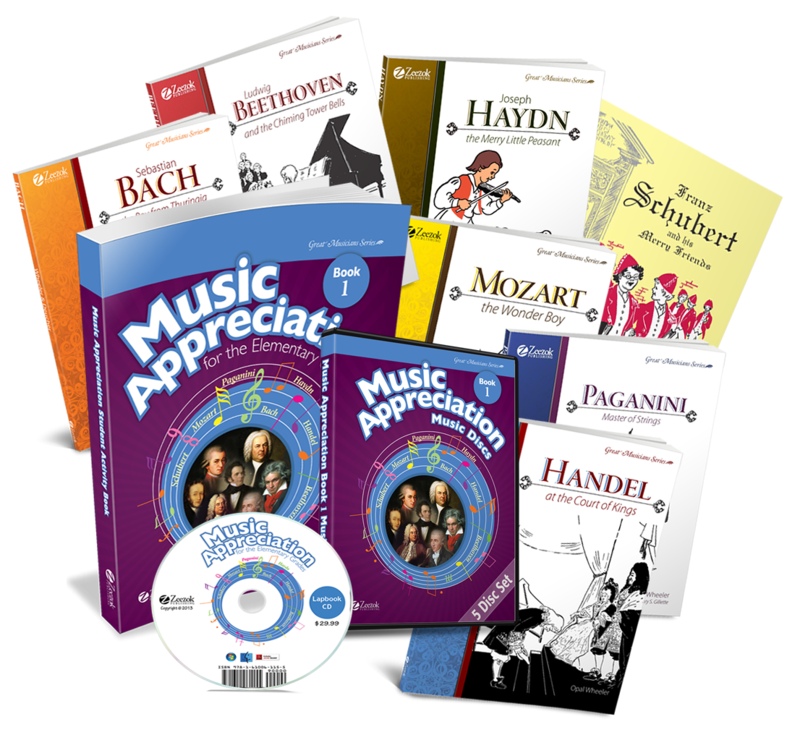 The Music Appreciation Book 1 Collection includes: a Student Activity Book, Music, Lapbook, and all seven composer audio book biographies (as MP3 downloads). Music Appreciation for the Elementary Grades: Book 1 will introduce children to seven different composers, dating from 1685 to 1828 (Bach, Handel, Haydn, Mozart, Beethoven, Paganini and Schubert). Each composer’s childhood and adult life are vividly described in individual biographies. Every important incident is mentioned and every detail of the stories is true. It is more than the human side of these books that will make them live, for in the music the great masters breathe.